Our theme this month is Homelands. Special thanks to Vance Blackfox for his help with this post. "I think a lot of people get blown away, 'Wow, there were a lot of tribes, and they covered the whole country!' More here. 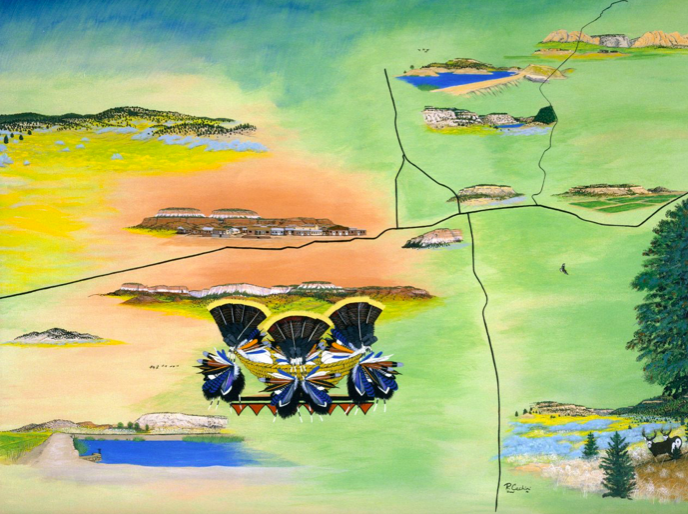 Through color, relationship, and story, Zuni maps provide directions on how to return home. The A:shiwi have been in present-day North America for thousands of years. Twelve thousand members of the tribe live on the Zuni Reservation today. Their sacred lands reach far beyond the reservation boundaries—trails of prayer snake and meander from the history of their emergence from the Grand Canyon to the story of Salt Mother’s migration, paths of song ascend the high buttes and tumble with the rain through the arroyo. Larson Gasper, Migration of Salt Mother, 2009. Ronnie Cachini, Ho’n A:wanDehwa:we (Our Land), 2006. Mallery Quetawki, Grand Canyon, 2008. “It’s time to assert that we have the knowledge of place, and challenge the idea of what maps are about,” Jim Enote. The Zuni maps draw deeply on shared experiences of place. They depict petroglyph carvings, images from prayers and songs, colorful stacks of pottery, arroyos and mesas. 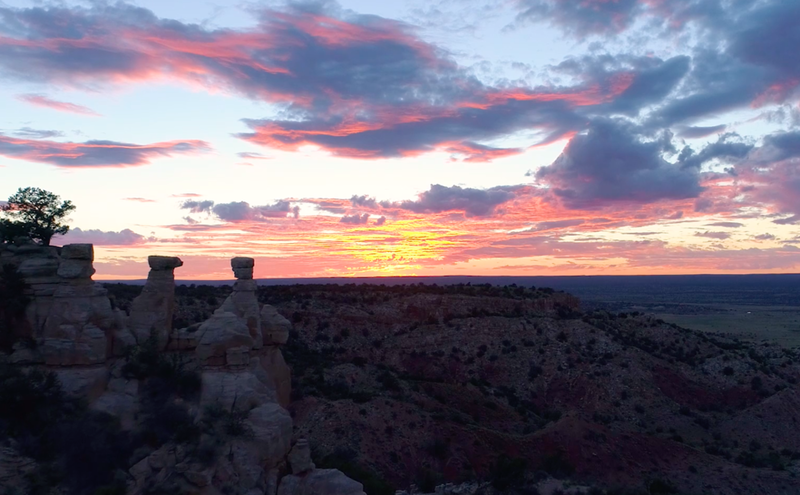 They are an opportunity for the Zuni to reclaim a deep understanding of a shared cultural tradition, rooted in ancestral lands, told again in a familiar language. The maps are a critical part of constructing a bridge between the worlds of tradition and modernity, connecting the old ways with the new. “We can do both,” says Jim. THE ZUNI MAPS remind us that modern, conventional maps convey only one very particular way of being in place, one which often, counterintuitively, leaves us disoriented and disconnected. Conventional maps do not tell us what it means to be somewhere—the details of the landscapes we live in, the sounds of the trees and the birds, the long histories of the arroyos and the mountains, the names of the people who built our homes. Sites of the Grand Canyon is inspired by a boulder that Ronnie and the cultural advisory committee came across on one of their journeys up the Grand Canyon. The boulder is covered in ancient petroglyphs. After looking at it for a long while, Ronnie realized that the boulder itself was a map of the Colorado River, each petroglyph representing a place, a story, or a prayer. 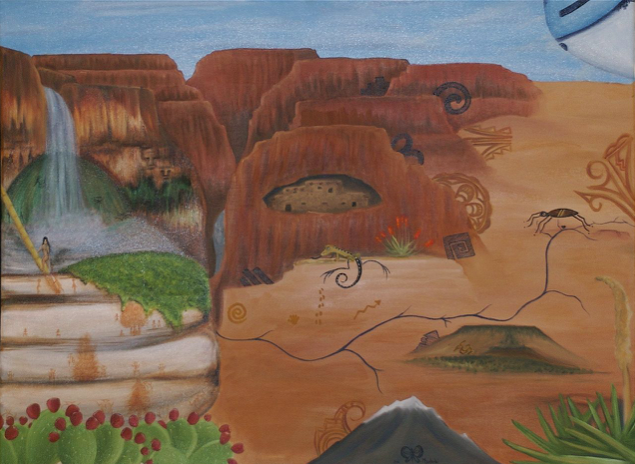 See more / read more of this on Emergence Magazine and Zuni Map Art Project.